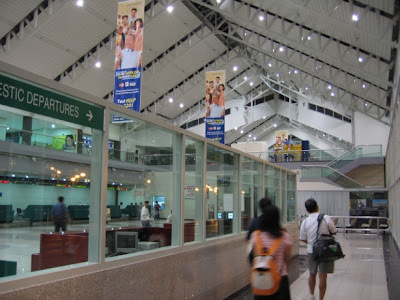 The Davao International Airport, formerly known as Francisco Bangoy International Airport, is Mindanao's international gateway to countries like Singapore, Hong Kong, and Indonesia; and to the rest of the Philippines: Cebu, Zamboanga, and Manila. 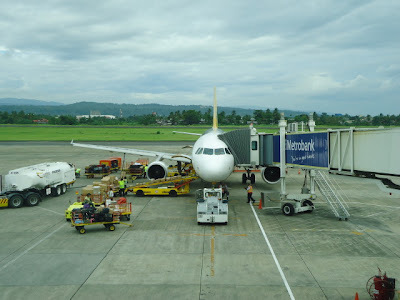 It is the busiest airport in Mindanao. 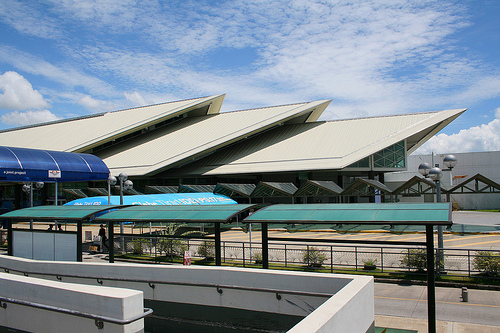 The Malay architecture-inspired terminal building costs P1 billion. The $128 million state-of-the-art international airport can handle approximately 2 million passengers annually, and 84,600 tons of cargo annually. The airport's new Malay architecture-inspired terminal building costs P1 billion, and is four times bigger than the old airport terminal. 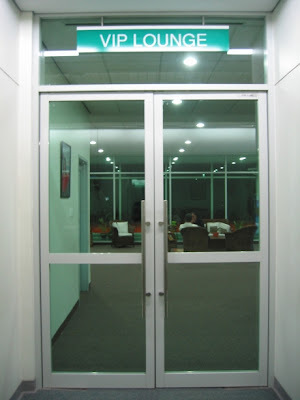 It is highly computerized, more secure, and has more commercial spaces ( approximately 9,000 sq. m ) for its concessionaires. 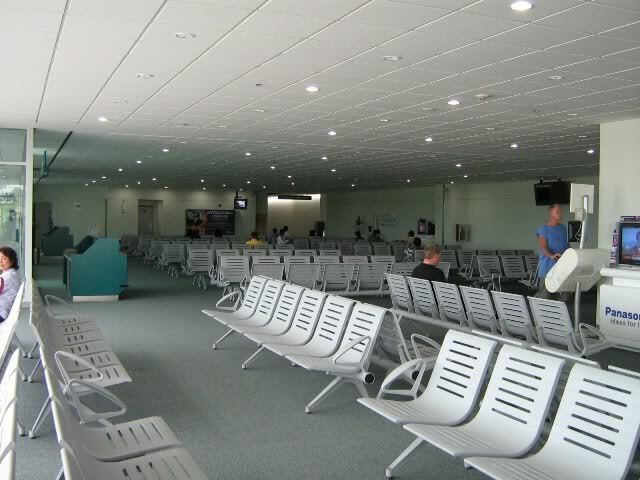 The terminal has 14 domestic and international counters that can handle a steady flow of passenger traffic. 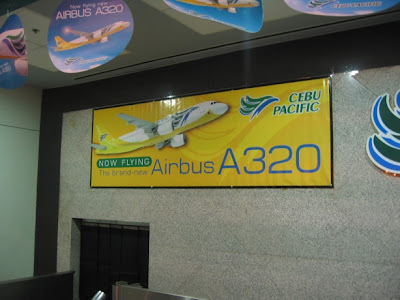 It is equipped with the latest navigational, security, and baggage handling equipments. 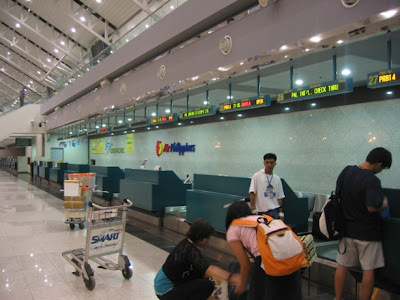 The Check-In counters have electronic weighing scales, conveyors, and its baggage handling system is also highly computerized. It has four units of boarding bridges for passengers, where baggage are regularly screened three times prior to passenger boarding. A Flight Information Display System, and a Closed Circuit Television System complement the terminal's security system. 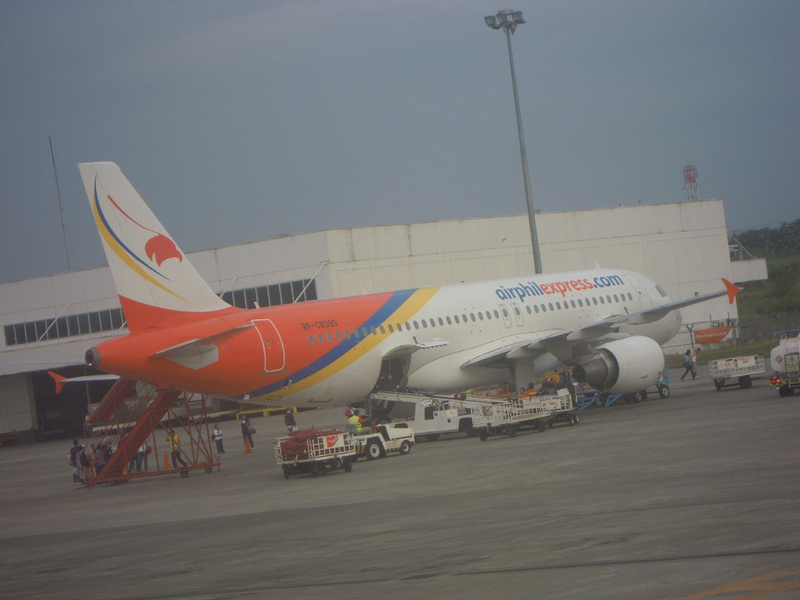 The 209-hectare airport was constructed in four years’ time, and was officially inaugurated and opened to the public on December 2, 2003. 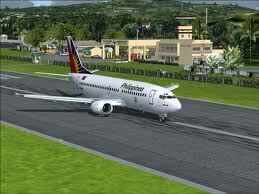 The airport has a single 3,000-meter precision runway that can accommodate wide-body aircraft. 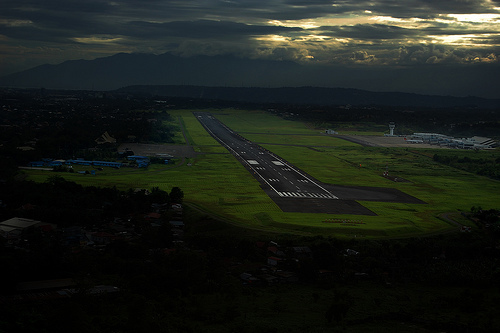 The Landing Instrumentation System (ILS) for its Runways 05 and 23 is compliant to the International Civil Aviation Organization (ICAO) operating category - Precision Approach Category 1. 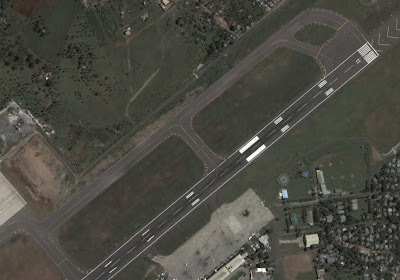 It can accommodate 8 to 10 aircraft landings per hour, and has 8 gate holding areas for aircraft. The upgraded airport was funded through a loan from the Asian Development Bank in 1994, which provided $41 million, while the European Investment Bank provided $23 million. The original cost of the project was $105 million but due to foreign exchange escalation costs, the Asian financial crisis, and land acquisition costs, total cost of the Project amounted to $128 million. 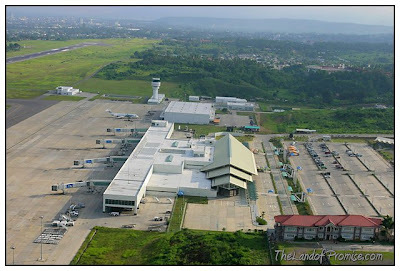 The airport's Air Traffic Control Tower is considered as one of the most sophisticated in the Philippines. Besides the main terminal building, there are also support facilities: Administration Building, the Central Plant Building, Airfield Maintenance Building, and Fire, Crash and Rescue Building. The facilities have a 688-slot car parking space, and 4 slots for shuttle buses. It has a 3-megawatt standby power generator. There are also 2 Mabuhay lounges of Philippine Airlines inside the airport premises. The old Francisco Bangoy International Airport began its operations in the 1940s, and were in use until 2003. 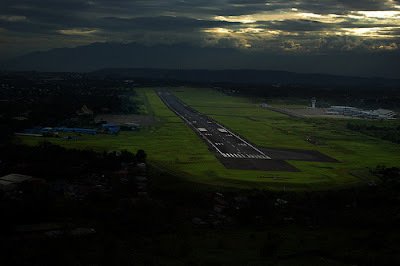 The land in which the airport is situated ( Barangay Sasa, Buhangin district of Davao City ), was donated by Francisco Bangoy, a patriarch of an influential family residing in the city. At the time it began its operations, the airport merely consisted of a 1,200-meter unpaved, grassy runway and Quonset huts serving as terminal buildings. 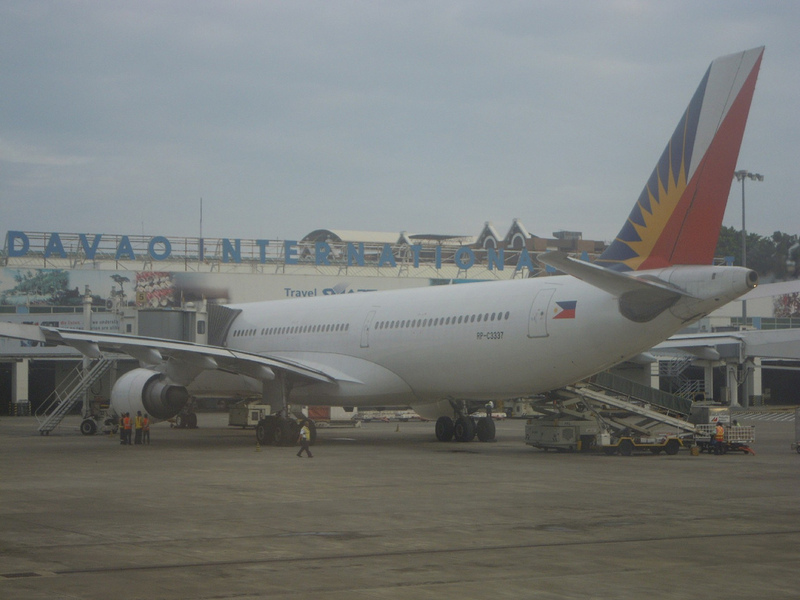 And throughout much of the 1940s and 1950s, both Philippine Airlines and the Philippine Air Force provided air service to the city. 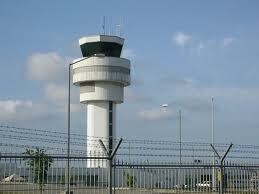 By 1959, the terminal consisted of a small control tower and several low-rise buildings. 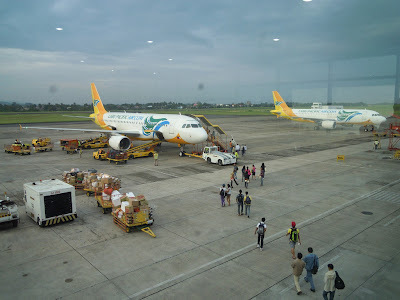 Later, a new terminal which was designed by renowned Filipino architect Leandro Locsin, was constructed in 1980, with a capacity of one million passengers, and the runway was progressively extended from its original length of 1,200 meters to its current 3,000 meters. Both projects were funded during the term of then Congressman Manuel Garcia, whose congressional district covered the entire airport perimeter. The rapid growth of the airport precipitated the construction of a P15 million interim international terminal beside the airport's then-existing terminal, and then eventually a new, larger terminal building which would consolidate the two existing terminals. 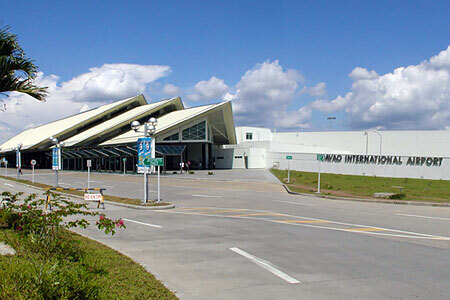 In planning since 1992, construction of the new Davao International Airport began in 2000, and was subsequently inaugurated on December 2, 2003, with a capacity double than that of the old airport terminal. 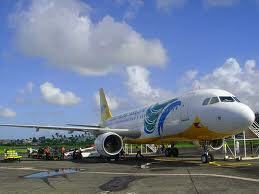 is considered as one of the most sophisticated in the Philippines. that can accommodate wide-body aircraft. 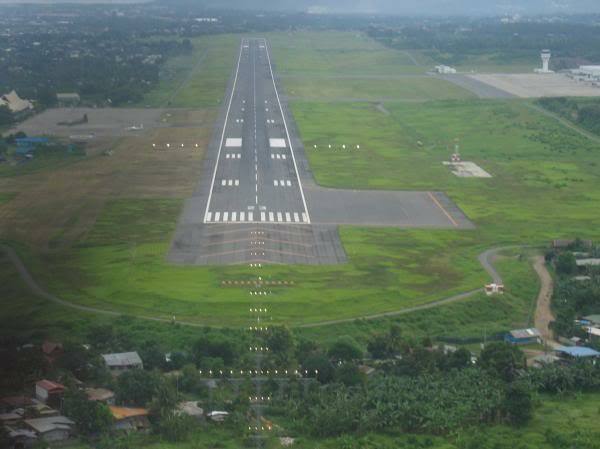 and depending on size, the runway can accommodate 8 to 10 aircraft landings per hour. The terminal has four units of these boarding bridges for passengers. 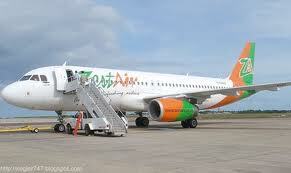 can handle approximately 2 million passengers annually. And can handle 84,600 tons of cargo annually. that can handle a steady flow of passenger traffic. Hello Vernz, I just visited your blog and added you to my roaster of links as you requested. 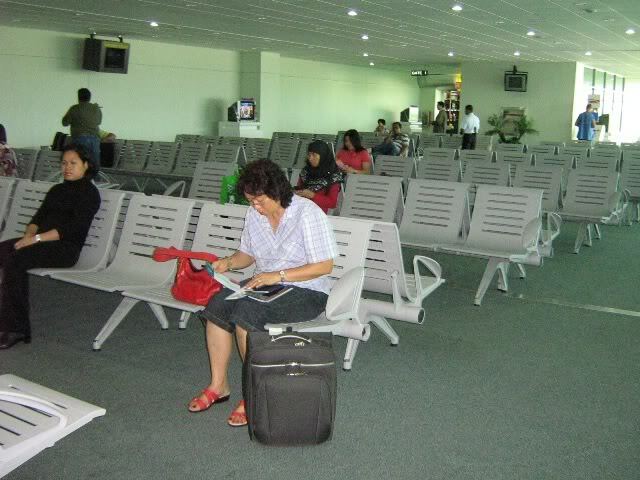 It is surely nice to know of a fellow blogger like you who is very passionate about Davao City. 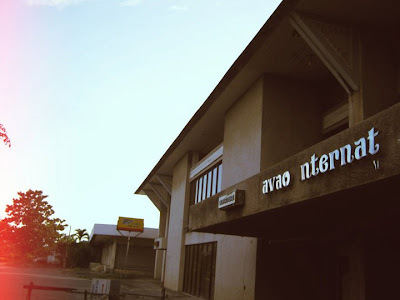 I started this blog only last April 2011, and I'm trying to get my blog as much exposure as I can with a view in mind of letting the whole world know about Davao City and its people. Thank you for your comments, and I hope you will drop-in again for fresh posts and updates. Hi, Marc DC. Thank you for your very nice comments. 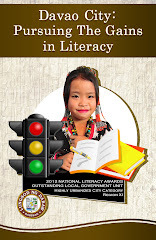 Davao City has progressed much over the years in view of the strong, dynamic, and benevolent leadership of the Dutertes and unwavering support of the local government and its constituents. 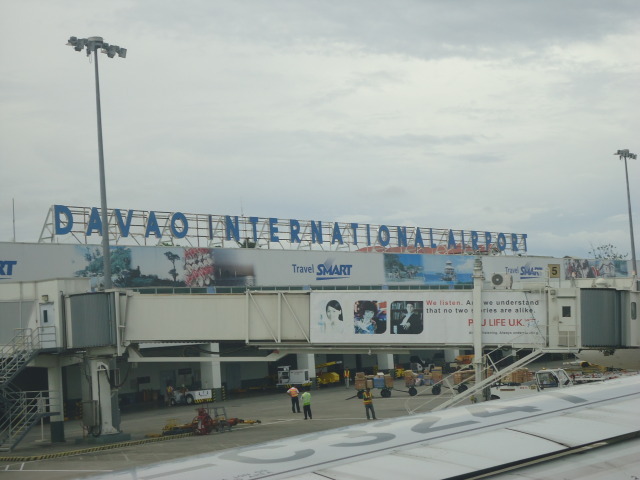 From the "Murder Capital of the Philippines," just two decades ago, Davao City now holds the distinction as one of the safest and livable cities not only in Asia but in the entire world as well. Peace and order, economic stability and sustainability of growth are among the primary components investors are considering prior to making substantial investments in a certain place. The number of tourists, foreign and domestic alike who are visiting the city is overwhelming. 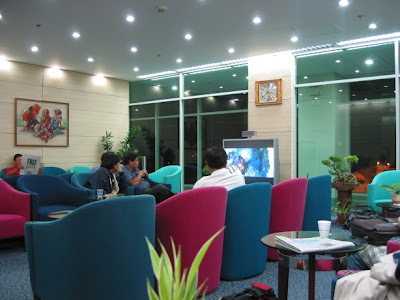 The last two decades have seen a tremendous increase in the number of hotels, convention centers, shopping malls, resorts, restaurants, cafes being erected in the city. 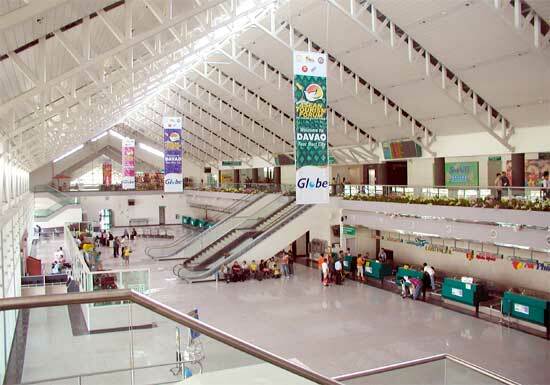 Davao City is the 5th richest city outside of Metro Manila, next to Makati, Manila, Quezon City and Pasig. You will see all these when you visit Davao City on December. I hope you will drop-in again for fresh posts and updates. Davao is one of the innovative place now in the Philippines. 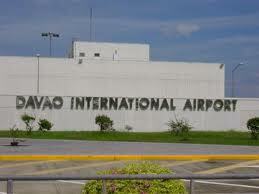 I visited Davao once and I find it really a nice place to visit. We are planning to make our team building there and I am pretty sure that this going to be a great and unforgettable experience. I am glad that I visited your worth reading post. Big thanks. Hi, can I use some of the photos from these article for my airport review of Davao? Thanks. Hi, Ian. By all means, please feel free to use any of the materials contained in this post as you deem useful for your airport review. good luck. Hello! 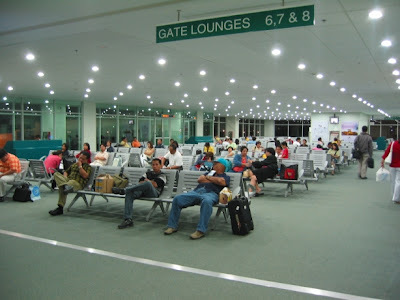 Matanong ko lang po kung ano yung mga restricted items na hinohold sa terminal? 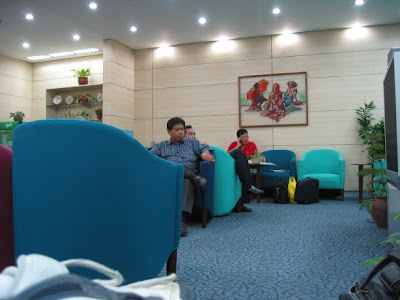 is Davao city have custom? MAKE IT DAVAO features Davao's Top Destinations, Dive Sites, Island Beaches and Mountain Resorts, Hotels, Shopping Malls, Restaurants, Cafés, Water Sports, Ziplines, Wildlife Sanctuaries, Landmarks, Parks, and anything in between in and around Davao City and beyond. 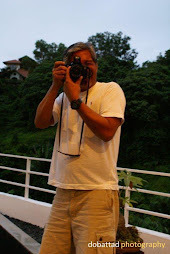 . .
For many years, I have worked as a claims adjuster with one of the leading adjustment companies in the Philippines, and my job had brought me from the most urban cities to the remotest parts of the land. But no other place has ever captured my heart like DAVAO CITY. WHY? Let me show you in this blog. . . . Make It Davao showcases the city and its historical landmarks; the magnificence of its island getaways, coastline beaches, and mountain resorts; the remarkable discipline of its peace-loving Davaoeños and their cosmopolitan and yet humble ways of life; the diversity and richness of its culture; the splendor of its heritage and colorful history: from its humble beginning to its impressive progress over the years; and all the other unique qualities that make Davao City what it is today and equal to none - "LIFE IS HERE! ", "LOVE, PEACE and PROGRESS", "FROM THE ISLAND to HIGHLANDS!" Make It Davao is licensed under a Creative Commons Attribution-NonCommercial-ShareAlike 3.0 Unported License. Copyright © Make It Davao. April 20, 2011. Some Rights Reserved. Simple theme. Powered by Blogger.